When planning to renovate, relocate, or close your business, you will likely be faced with the huge task of getting rid of the office furniture and equipment that is no longer needed. So how do you get the best and fastest return on investment on used office furniture, cubicles, cabinets, chairs, desks, electronics, and supplies currently on your premises? Whether you choose to auction your items or liquidate them, your options depend on your timeline, financial requirements, and company practises. Generally, you will need the services of experienced professionals specializing in property auction and liquidation. Selling or distributing office merchandise is not a simple process, because you need to find a buyer who’s willing to pay the fair value of the item, depending on its age and condition. This task has unique challenges, and a mismanaged job could easily lead to financial and environmental concerns, slowing down or impeding your workplace transition process. To maximize your ROI and liquidate your office merchandise in time, you need to create an effective plan that helps you identify problems before they arise, eliminate or minimize environmental and financial liabilities, and increase the likelihood of getting a fair return for your assets. Whether you’re planning to auction or liquidate your assets, it’s important that you create an inventory to know the extent of your project. Having clear information about the type, number, and condition of each item will help you keep track of the sale process and have an accurate estimate of the expected returns and selling timeframe. This information will help you estimate each item’s sale value. Some office merchandise tend to retain their market value fairly well, such as office chairs and filing cabinets. Some damaged pieces, such as desks, chairs, or old printers can be repaired and refurbished to maximize the returns. But any items that cannot be reused or recycled should be separated from the other items – before the vendors arrive – and properly disposed of. 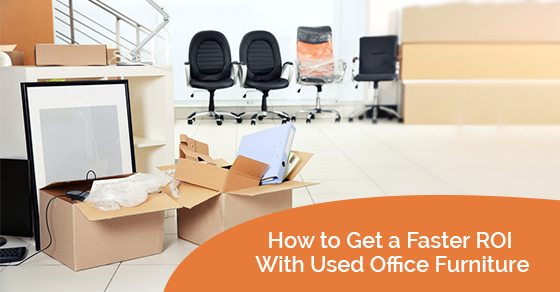 When you have a clear view of the office items you want to dispose of, you can set your goals in terms of the expected financial returns, the time it’ll take to get rid of them, the vendors who will help you liquidate, any responsibilities to the community for donation opportunities, and the removal of the items from your premises, among other factors. The merchandise getting liquidated will have to be removed from your premises and stored in a place where it can be easily accessed and viewed by potential buyers. This can be on your property or in the vendor’s warehouse. Either way, the removal process should be well organized to avoid disrupting other components of the liquidation process, disturbing other operations, or even causing safety issues. There are many factors that can affect the current market value of your items. But generally, you can expect it to be slightly lower or higher than 50% of the buying price (30 to 70% of cost of purchase). Find out if the price you purchased the item at is still relevant – has the cost of the same item increased or decreased? It’s difficult to determine the cost of custom-made items because you need to find a buyer with similar preferences, who will appreciate the customization and pay for its actual value. It may take longer to find this kind of buyer, or risk selling it at a lower price. If your business has built an image in the local community for environmental sustainability, then you should probably inform your partners and/or your community about your plans to get rid of your office merchandise. A well organized corporate social responsibility project can provide a cost-effective marketing platform to reach as many people as possible within a short time. You can sort through the items with your vendor to determine the items that can fetch good prices, and those that would be best donated or recycled. This can yield positive sentiments in your community, enhance public relations, and raise some money, all while getting rid of surplus or unwanted office merchandise. Trying to handle the liquidation process internally will only derail the process and cost you more. On the other hand, engaging a professional and experienced liquidation services provider will allow you to capitalize on their resources, including network of other vendors, experienced team, vehicles and removal equipment, warehouse, and so much more. Generally, your vendor can assist in the entire liquidation process, from taking inventory and estimating its value to removal from your premises to shipping to the buyer’s location, making the process, smooth, fast, and hassle-free. These risks are somewhat interconnected, which makes them easy to avoid with the right processes and/or practises in place. Proper scheduling, for instance, will ensure that all stakeholders – buyers, movers, employees, recyclers – are engaged at the right time. Whether you want to sell some items, donate, recycle, or move them to one of your other locations, your vendor can help you keep things organized. With proper planning and the right project management and liquidation team, surplus office merchandise can become less of a problem and more of an opportunity to raise capital fast. For more information, please call Michaels Global Trading at 1-888-902-7531 or contact us here.